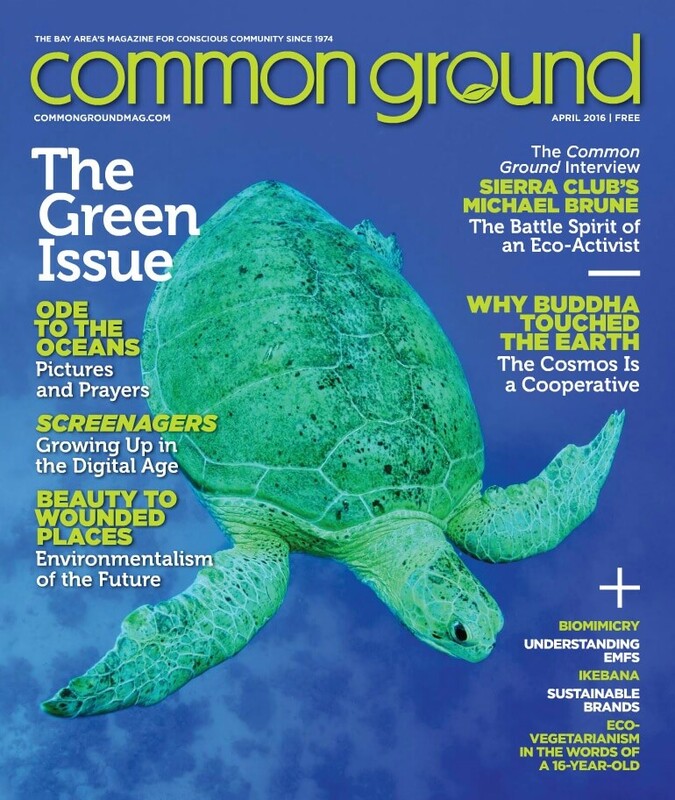 I had the opportunity to write about creating a healthy home for Common Ground Magazine this month. I focused on the four types of electromagnetic fields that you want to check for in your home. I have included a short video below that shows you how to measure EMFs. Hopefully this will help you create a healthier home for you and your family. Many families do their best to create healthy, environmentally sustainable homes. They buy organic, non-GMO foods; use a high-quality water filter, and avoid chemicals, plastics, and pesticides. Another very important aspect of a healthy home just beginning to get the attention it deserves is the electromagnetic component. Even if your family covers all the bases above, your health can still be compromised if you are constantly being exposed to high levels of electromagnetic field (EMF) pollution. At the deepest levels of biology, your body is electric. Every cell in your body communicates using tiny electric signaling. This is how your nervous system operates. Small changes in the polarization of your cell walls can also lead to significant chemical changes within your body. If you are constantly exposed to high levels of EMF pollution, your health can eventually be compromised — even if you do everything else right. 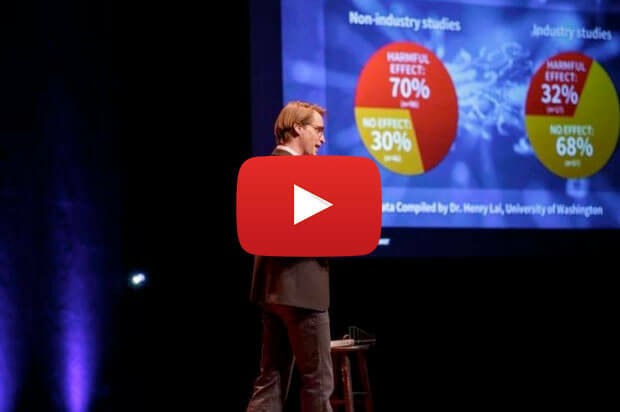 I recently had the opportunity to present this information in a TED talk at TEDx Berkeley. In the talk, which was called “Wireless Wake-Up Call,” I showed why paying attention to EMF pollution is important for everyone, especially children. I also explained that there are many solutions, particularly when it comes to wireless technology. In this article, I want to take this topic a step further and explain the four types of EMFs that you may encounter in your home. By determining if you have high electromagnetic fields in your home, you can then take a few steps to reduce or eliminate this form of pollution. You can measure each of these EMFs yourself with the proper meters or have a professional come to your home. Once the corrections are made, your home will be much healthier for you and your family. Microwave radiation: Emanating from our beloved wireless technology, small doses may be okay, but our exposure has grown exponentially in the past decade. This is unprecedented for humanity, and many people now experience poor quality sleep, tinnitus, and headaches when exposed to wireless technology. So turn off your Wi-Fi and wireless devices when not in use and opt out of “smart” meters and the “smart” home. Look to eliminate cordless phones and wireless baby monitors as well. Our best hope for a healthy future is in fiber optics and wired Internet. I encourage you to join many forward-thinking families who have already gone the wired route. Magnetic fields: If your home has electrical wiring errors, older wiring, or is located near a major powerline, magnetic fields may be elevated. Most homes have two to three wiring errors that can be easily fixed by a qualified electrician. Magnetic fields that cannot be eliminated can often be shielded with special material. This type of EMF pollution is very important to reduce because high fields (over 2.0 milligauss) have been linked to illnesses such as childhood leukemia. Electric fields: This type of EMF pollution comes from unshielded electrical wiring such as standard Romex. If your bedrooms have high electric fields, sleep quality can be diminished and overall health may decline over time. The primary solution is to turn off the circuit breakers to your bedroom while you sleep. If you are remodeling or building a new home, then you should install MC cable, which is metal-clad shielded wiring that will reduce the electric fields by approximately 90%. EMI or “Dirty electricity”: Items such as solar inverters, CFL and LED lighting, dimmer switches, and smart meters will cause “dirty” electricity. These items put additional frequencies on your 60 Hz electrical wiring. These extra frequencies then radiate into your living environment and can cause headaches, fatigue, brain fog, and serious illnesses over time. There are ways to partially filter this type of EMF pollution, but the best solution is to limit the use of items that create dirty electricity in the first place. With new research coming out every month about how electromagnetic fields affect our health, one of the wisest things you can do for your family is to have a home with low EMF pollution. Limiting EMF pollution is truly a leading edge of the health and sustainability movements and will only become more important in the coming years. The good thing is that it is becoming much easier to make your home healthy from an EMF perspective, and it often takes just a few changes to accomplish. Valuable information is available online if you want to do it yourself, plus there are many qualified EMF consultants who can help. If you would like to have a professional measure your home, feel free to contact me, and I will recommend someone in your area. My hope is that with a few small changes, you and your family will have a truly healthy home for decades to come. This short 2 minute video shows you how to measure the four types of EMFs in your home. You can learn more about these meters here. I thought that LED light bulbs were better to use so I have started to use them when I need a new light bulb. Is the recommendation not to use LED light bulbs? What light bulbs are recommended? By far, the best light bulb from a low-EMF point of view is the incandescent. You can still get these at specialty light bulb stores and online. The do not create the dirty electricity that the CFL and LED lights do. Hi Marie, Jeromy is 100% Correct. I find that LED is the worst for radiation. I actually gets sick from LED’s especially RED LED :((. I can feel the radiation without any measuring equipment and even when the LED is off, I can still feel it like at least 2 hours afterward. CFL is a bit better but all in all CFL and LED are really harmful in my opinion. Best to stick with Incandescent bulbs. Although they are NOT energy efficient but it’s better than harming ourselves with LED and CFL. Also, it’s really cheap right now because everyone is trying the LED that is new on the market. But little as they know, in few years, they would see how harmful LED really is. Are there any light bulbs that compare to the light provided by LED’s? I have a difficult time with incandescent bulbs, because they aren’t as bright. These will still produce EMI or dirty electricity, but there are some reports that they produce less. What about white light/brighter incandescent bulbs? I recently found out that the Smart Meter on the wall just outside my bedroom is making me sick. So I put a 4′ x 4′ foil shield on the inside of the wall to try and reflect that signal away from the bedroom, and it helped! But I still don’t know if it should be bigger or made of a different material (maybe copper), and be grounded… so I am looking for some advice here on maximizing my efforts to shield myself from the Smart Meter’s signal. Alan, the only way you can really shield is cover your entire room :(, including ALL the Windows, Cracks and Floor too :((. You will be there forever with doing it and sometimes that would NOT help because when you open your Door, you would have EMF leaking. My best advice to you is get a Faraday Cage. Also, you would have to Ground your Cage as well. YES, if you can get Copper Screens, but they are pretty Pricey :(((. What I did was get EMF Blocking Material, the Screen looking kind. Made of Silver and Mesh Material. Made myself a nice over the bed Cage and then use an Alligator Clip and clip that to the House Ground Wire. You can reduce your e-smog by converting the lighting circuit to 12 volt DC and using LED’s with a conventional fitting so they plug into your light sockets without modifications. I can also send you a couple of links to explain how the nervous system is influenced by e-smog and another explanation from another engineer, send me an address I can use to include links please. David, the LED Light is Radiation. Regardless if it’s from 120V or 12V DC, heck at 4.5V DC I can still feel the Radiations. YES even a Battery Flash Light I can feel the Radiations. What about the Converter that Convert 120V to 12DC ? During Conversions, you don’t think it put out Radiations? Thanks Marie for asking this question – that’s exactly what I was going to ask………and I just put new fixtures in my kitchen with LED’S. Now to find new light bulbs. I’m wondering if having a satellite dish on the roof, for our internet service, is harmful to us…and how can that be measured? Also, would like to know if there is someone in my area that could come out and do metering for us. We live in the Chadron, Nebraska area. PS: Right now all I have is the TriField meter and I use that for a lot of things, especially car and truck when running. I am still ill with EHS. It’s best to be away from the satellite internet dish as it is sending RF (not just receiving). However, the emissions should be minimal once you are far enough away. 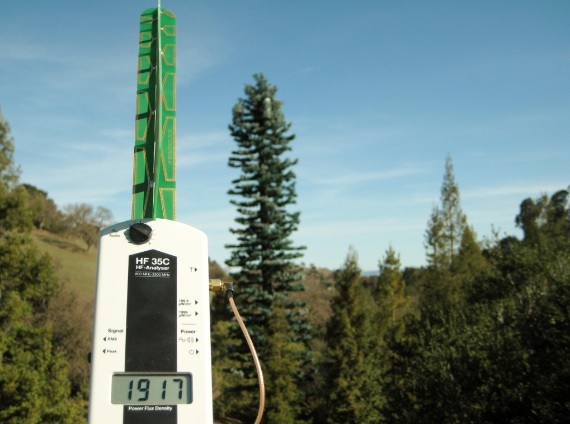 You should get a decent RF meter as there are no EMF consultants in that area. These meters are good for the price. I am still hoping to discover what harm we are being exposed to by way of broadband over power line for the smart meter…I understand that the pulsing goes throughout the house, traveling on the house wiring. We would consider solar power for only essential things (ie: refrig., freezer, lights) but the cautions regarding each and every component of that sort of system is so mind boggling! (See electricalpollution.com for article on installing solar systems safely). This is truly the most perplexing and depressing time of our lives, dealing with EHS. Thanks for your blog, and any help offered. I agree that incandescent bulbs are the best from an EMF standpoint, but some LED bulbs test fine for dirty electricity. There are certain cases where they may be useful, but it is also important to remember how the spectrum of light they generate tends to have a big spike in the blue/green wavelengths. This means they are more likely to affect your sleep and melatonin production when used in the evening. I think the most important thing is to use the least/dimmest light possible. I have found that swapping out T8 fluorescent tubes with T8 LEDs reduces the dirty electricity considerably, which allows me to still use these fixtures which are ideal for starting seedlings. Many kitchens, basements and garages have these common fixtures and you can replace the bulbs fairly inexpensively. I had luck with the Phillips InstaFit tubes that don’t require rewiring the fixture. To be sure, testing for DE is the way to go with any AC lighting. I’ve also been using battery powered LED touch lamps which allow us to keep more of our circuits off at night and still have light where we need it. Thanks for your insight Matt. However, I am not sure if they used a simple AM radio to detect DE or the various DE meters. Often, the AM radio will still detect DE that is out of the range of the Stetzer or Alpha Labs meters. I bought your book some time ago. Thank you for your comprehensive info…What a great help you are for people who are exposed to lies…( about safety…regarding Smart Meters)….told by Governments who work in the interests of so called Smart Meter Corporations. Thank you Ellie. I appreciate this. I am looking forward to reducing my home EMF’s and thank you so much for educating us!! I replaced all my incandescent bulbs years ago, in LA it gets hot having those so I am excited about the new developments to go back to the next incandescent! Ruth…. I used EMF Services when I had a problem with a house I lived in. They (2 guys) were kind enough to help me track things with my Tri Field Meter (I think efficient enough) to find Hot spots. I already knew the cause – increase in Electrical Poles outside my house – that did not register when I moved in 14 years earlier. To have someone come out to do for you – Costs a fortune. Once you check with Tri field meter (and yes, I also have the Cornet Meter – you can take proper steps. No Smart meters (Gas or Electric) at my house and No Wireless. I’ve been Healthy since I got away from old house – and did supplements to rebuild the Central & Peripheral Nervous Center. Hope this helps you and others. Marene, would you please tell me, and others, what supplements you chose to use to restore your health. Yes, I too am definitely interested in hearing what supplements you use for this, Marene. Please share! Thanks. Marene, what supplements did you take for this? I just realized there is a new electrical pole installed, with a Smart Meter, on the empty lot beside my home! Glad I read your post…looks like I am on the move again. SIGH. Thank you for this great information, Jeromy (available now to health-conscious Vancouver BC residents via Common Ground!). I read in B. Blake Levitt’s book on EMF that the MAGNETIC FIELDS are the most harmful, because they penetrate deeply – what material is available to shield from powerlines? (You mentioned there is something to block magnetic fields). We have bedroom windows and beds necessarily close to the roof and access point where powerlines from the street connect to our home. I’m EHS and I get dizzy in the bedrooms, with headaches while asleep, and wake up with a very dry mouth and a metallic taste on my tongue! Her book states that only heavy iron will block magnetic fields (like a car’s metal roof). Indeed, low frequency magnetic fields are some of the most dangerous for us. They are are also very hard to mitigate when coming from outside the home. For now, the best thing is to avoid the rooms that are most affected. Thank you, Marene, for your remarks to my post. I believe that our issue here may be the Smart Meter which is on a post out in the yard at least 50 feet from the house. It was installed in August of 2014, shortly after I arrived in Nebraska from Wisconsin. I thought that by joining my friend here, in a very rural setting with no cell phone towers for several miles, and no smart meter, I would once again enjoy better health. I felt very good when I arrived in April and within days of the smart meter installation I began having the old symptoms I had had in Wisconsin. My apartment there had 31 Smart Meters directly under my apt. and numerous WiFi units being used by other residents. Here at my new residence I talked with the local electric company about putting the old analog meter back on the pole but they refused and said that we would have to go “off grid” otherwise. This would present a huge hardship for us to do such a thing. We do not use WiFi, nor do we have close neighbors that use it, as far as I know. What we have here is called Broadband Over Line that goes underground from the meter into our electrical box just off of the kitchen. I have been shutting off the circuits that I can spare, at night, but still have issues when I awaken each morning. One of my symptoms is loud tinnitus to the point that I can no longer hear what my partner is saying to me without him having to repeat himself loudly. He has developed an autoimmune disease which requires Prednisone to keep pain and stiffness down, and at 70 years old, this is very disturbing. I have pain, stiffness, very poor hearing, occasional occular migraines, occasional dizzy spells, and brain fog/memory issues, to name a few of the symptoms I experience. I have a Trac Fone that I use very sparingly, but it does not have a speaker phone feature on it. We have a land line phone in the house, but due to its digital answering machine, it bothers my hearing greatly. I wanted to mention that I have tried using the Dynamic Neural Retraining System by Annie Hopper (Canada) with some success, and know that she herself and numerous others who have suffered from EHS (Electric Hypersensitivity Syndrome) have restored health through its use. (Also see ‘Wired For Healing’ by Annie Hopper). Meanwhile, I am being careful about not exposing myself to EMF more than is necessary. I forgot to mention that we have installed Ferrites which clamp onto the electrical wires that come off of each circuit in the fuse box, and go throughout the house wiring. We were told that this would dampen the effects of the EMF coming into the box from the Smart Meter. We had tried putting shielding around the Smart Meter itself with no success. Leaves me with a question. I have solar panels and thus an inverter. When I filter the DE off the electricity net with filters, is that enough? Or do the inverters also send out radiation directly into the atmosphere? Yes, the dirty electricity frequencies do radiate out into the air from the powerlines and the inverter. In short, the Stetzer and Greenwave capacitors are not enough for the harmonic frequencies produced by the inverter. They can create their own problems as well. There are better powerline filters that are more suited for solar and there are ways to build your system that will be safer. I have an article coming out about this soon that I will share with you. Please let me know when the article will be on your blog, since I do not get the newsletter for every topic, it seems. Indeed, incandescent full spectrum bulbs are some of the best for us. You can get these at specialty light bulb stores online. They can be expensive ($5 per bulb), but worth the price. If they are CFL or LED types, then you will likely still be getting the same EMI noise put on the wiring of your home. I do have sleeping problems, which I suspect might be due to electric fields. I have them at home and also at various other places. It appears to me that I sleep worse when the bedroom is in higher buildings. Obviously, I don’t have a big sample. Do you have any information regarding apartment height and EMF or magnetic fields? Regarding circuit breaker and the bedroom: That is kind of difficult for many who live in a high-rise in a hot climate and need air-con or at least a fan to sleep. Remodeling is also often not an option in these cases. What to do then? High rise buildings typically have high levels of radio frequency radiation from nearby towers. That is the most common issue that needs to be addressed. The magnetic fields would only be high if there was a wiring error or stray current in the building. This can be traced and fixed. Unfortunately, a high rise is one of the tougher environments to make low-EMF. You are close to your neighbors and have little control over certain fields. You can certainly do some shielding, but you need to know what is going on before you do any shielding. If you contact me, I can put you in touch with an EMF consultant that will come to your apartment to test things. Any thoughts/measurements for cell phones on your person, or to your ear? Thanks a lot for your reply Jeromy. Is there anything that can be done about the radio frequency radiation short of moving? I was wondering whether these grounding/earthing pads/sheets might be of any use? Do you have experience with those? You can use shielding on your walls and windows, but it is tricky (reflection issues) and may not reduce levels enough (particularly from radio towers, which are more difficult to shield). Thank you for the article Jeromy — I’m EMF sensitive, and had a new washing machine installed a few days ago. The laundry room is located behind my bedroom. I haven’t felt well since it was installed. Are transmitters installed on all new washers now? If it has a transmitter, what are my options? I might have to return it. Hi Annette – sorry to hear about this. Most likely, the new washing machine does have a wireless transmitter that can be part of a “smart” home. Do you have an RF meter to test this? Jeromy — Thank you for the information. We tested it with an RF meter, and don’t see an issue. The manufacturer told me that this model doesn’t have any type of a transmitter. Maybe I’m sensitive to switching from an electronic to a mechanical washer. The new chemicals coming from it are an issue that is slowly improving. Appliances that have chips are what is called “Energy Star” compliant. They are advertised as “saving energy,” but, in fact, communicate with ‘smart’ meter equipment in the area (sometimes over great distances). This means the utility company can and does turn off the appliance at will, thus “saving energy.” It also means hackers know usage patterns, and, thus, when people are and aren’t home. The Energy Star chips are powerful and wreak havoc with those of us who are sensitive. The only way to avoid them is to ask a sales person to look up the factory details on any appliance being considered for purchase to make very sure it is NOT Energy Star compliant. Are you sure about this? Energy Star has been around for quite a while (over a decade) and I believe only means that it is more energy efficient. They would not necessarily create more RF radiation unless they also have a “smart” component that uses microwave radiation to communicate. This is a function that is new the past few years. Following! I would think that the “smart home” electronics would do this, not simply the energy star ones. But then again rfid tracking had been used on consumer products for awhile from my understanding. Hi, I was wondering how a metal roof would work with all of this EMF stuff. Would it block signals or trap them inside? Please help!! We have to get a new roof and trying to decide. Thanks!! A metal roof can be a good idea. It will help to reduce RF signals from the outside. It will also reflect RF back into the home – so, obviously, don’t use wireless technology in your home. There can be some issues with metal roofs magnifying electric fields from nearby powerlines. Be sure to ground the metal roof, so that this won’t be an issue. I would like to know if anyone out there has broadband over power line for their smart meter. It seems that most people have a meter on the house/apt. and are able to shield it…we can not shield this type, but we have harmonics (dirty electricity) coming onto our house wiring, and thus into every appliance that we use)….what can we do? Unfortunately, many electrically sensitive people who live where PLC or TWACS smart meter technology has been implemented end up moving to different areas/states. There are areas in the Black Hills in South Dakota near you that are not utilizing smart meter technology and do not plan to into the future. Thank you, Jeromy, for the input. Knowing the correct terminology for the different types of smart meters is important to me, and I see that I have been calling it something else (broadband over power lines) when it is actually PLC/TWACS. I have read the paper you mentioned on this type of smart meter and how it is impossible to shield it. I am now waiting to hear back from Dave Stetzer about his conversation with our electric company manager here where I live. The manager had told us two years ago that our only alternative was to go off-grid, that they would not revert back to using the analog style meters. Meanwhile, I did not understand how serious our exposure was/is. Our health has continued to spiral downward. You had mentioned that there are areas in South Dakota that do not use smart meter technology and are not considering it in the near future. Can you please tell us what those areas are, so that we can check them out? This may be our only alternative, although we would still consider going off-grid in the house that we have now. Having the money available to consider anything right now is a problem, as it may be with others in our predicament. Rising above the despair that I feel right now is my greatest challenge. Just wanted to thank you again for the information that you provide, and the encouraging words. My suggestion is that you call the utility company for the areas that you are interested in moving to. You’ll want to see what type of system they use and if an opt-out is available. You obviously want to confirm that they are not using a PLC/TWACS system (which are pretty rare to begin with). I do know that this utility still has a primarily analog system: http://www.bhec.com/ They are implementing digital meters when analog meters fail, but due to the mountains and large distances between homes, a smart meter / AMI system is not practical. You will be able to find homes with analog meters in this area. Good luck and keep us posted. I hope you find some relief soon. Thank you, Jeromy, for this information… we will give them a call and see what is available in the towns around there. We are at the point now of making a decision about staying in the house we are in, with off-grid modifications, or moving in the future. Will keep in touch. Jeromy, a good friend in Georgia has sent me the web site for a smart meter blocking guard product, that she plans to try on her parent’s house. It has a 30 day return guarantee. Here is the link if you would check it out and see what you think. These provide some relief for wireless smart meters, but are not a full solution. They will do nothing for your PLC/TWACS smart meters. Thank you! I realize that we can do nothing to shield ourselves from the PLC type meter. This causes no end of frustration and fear for me…and I fear for my partner’s health, also. I am still waiting to hear back from Dave Stetzer since he is trying to discover what the frequency is being emitted by our meter into our circuit box in the house…I understand that every wire in the house is like an antenna now. Will keep you posted. Meanwhile, I would like to know if there are others out there who are living with these type of meters on their homes. They are used commonly in rural areas (such as we have here in Nebraska where houses/ranches have much distance between them). If anyone knows how to stop these frequencies from entering homes, please write to this blog. Thank you. Wanted to let you and all the readers know about the excellent website http://www.eiwellspring.org. It covers the smart meter issues so well and gives good information on how to live with it, cope with it, etc. It was there that I began to really understand what this PLC/TWACS meter is about and how damaging they are to the body. At this point we have spoken to the electric company manager and they agreed to give us the cut-off switch we need (to kill power to the house from the meter) for free, but we will have to get our own electrician in to install it properly. This is part of an answer for us, as we can shut off the power at night, but with winter approaching it will get mighty chilly here in our area of Nebraska. So that means having a generator, also. Generators come with their own inverters and put a lot of dirty electricity onto our wiring in the house, also…so we will have to investigate that. Always something! I would also like to recommend Annie Hopper and the Dynamic Neural Retraining System to the readers of this blog. If anyone would like more information on how this program works to recover from EHS, MCS, and other chronic illnesses, see http://WWW.DNRSYSTEM.COM . I have used the video program and found it to be very helpful in relieving some of the EHS symptoms I’ve had. I may have mentioned this before, but think it is worth repeating for those who are still struggling to understand how EHS works in the brain/body. At a time when I was grasping for information, this was a huge help to me. Thank you for your help and efforts, Jeromy. Indeed, Annie Hopper and the Gupta Programme have helped quite a few people. With any injury or illness, there is almost always a limbic system component to it (where the brain remembers the injury – even after the body has physically healed). I would like to know your full experience with this program and whether it completely heals you from feeling the PLC smart meter pulses? I know a lot of people who have done one of these programs. A few have healed completely, but most only get moderately better. The program is working on the mind component of this condition, which is vitally important. However, it doesn’t heal the biological components, nor the environmental issues. These typically need to be addressed as well for people who are electrically sensitive. Jeromy, I used the Hopper program briefly when I first got it, did not stick with the required 6 months of one-hour-per-day practice in order to see if I could achieve complete wellness again. My bad! I believe that it would/could bring me much relief of the daily effects I have from EMF and the smart meter. That being said, I agree that one should remove the EMF sources, or at least shield them, since they are so harmful to the body. Also, I want to add that just viewing the DNR System DVDs caused me to have a strong decrease in my stress response when I thought about exposures I was having…it is the understanding of how the brain works, to continue supporting the body symptoms, that contributed to my EHS and MCS that helped me the most. Practice makes perfect, as they say, but in order to see results one must do the work. I have the time to do the DNR program exercises without going to a class or leaving my home, so it is a matter of discipline for me. Meanwhile, we will continue to lessen our exposures to EMF and to hopefully find an electrician who will install the transfer switch so that we can cut power to our house at night. Will keep you posted, and thank you so much for your caring. Thank you for this very interesting information Jeromy, am I to understand that there are dangers if there’s a wireless printer, computer etc. in the home? I have a laptop and mobile tablets that work off my wireless modem so what can I do to lessen the dangers of exposure? I have just re-read posts from May, 2016, and am still in the house I had mentioned, still not able to shield the PLC meter, and since then have suffered two heart attacks. I must say, I do not have proof that the EMF/RF is the cause of my health issues where the heart attacks are concerned. 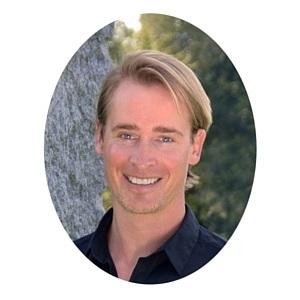 However, in speaking with Michael Schwaebe, Building Biologist from San Diego, CA, I learned that he has several clients who are EHS who have heart issues. This will get further investigation from me, for sure! I am doing pretty well at the present time (had a stent put into an artery on the back of my heart) and am taking medication to ensure there won’t be other blockages. Getting the exercise I need is my biggest challenge, as I am resisting it a lot. Went through 36 sessions of cardiac rehab and did well with it, but at home is another story. So, my investigation of the PLC meter and how to shield from it is ongoing. We have the cut-off switch installed outside, but have to use a generator to power our freezer and refrigerator, and water pump…we do not have the generator put together yet, so we continue to shut off the bedroom circuit at night. I am in the house most of the day, so I get a fair amount of exposure with the PLC, I’m sure. Thank you for your continued diligence in informing us about your findings and keeping the blog available to us. -We have solar panels on our roof and inverter on the loft. -The main contractor is in a bedroom (used to be the garage), behind a door. What would you recommend to minimise EMF? Looking over the description, it appears that the Cornet ED 78S Electrosmog Meter can measure all 4 types of EMF. Is this correct? Or, are one or more of those other 3 meters necessary for a full analysis of EMF in the home? Your work and help on this subject is much appreciated. Plus a Radio Shack AM radio model 12-467 on ebay for $25 that will help you determine EMI sources in your home. I read all of the links you gave me, plus watched your Tedx Talk. I’ve learned a lot. You are very generous. Thank you. Ok, so… although the accuracy is not the most optimum, the least expensive way to have the capability to measure all 4 types of EMFs would be to purchase a $169 Cornet ED 88T Meter (for RF, magnetic and electric fields) and the $100 Stetzerizer Micro Surge Meter. Correct? You are correct that the ED88T and Stetzer meter is the least expensive way. However, you also get what you pay for with EMF meters. The $485 meter set outlined above is a step up for the extra $200. Also get a Radio Shack AM Radio model 12-467. Usually found on ebay for about $20, this is a way to detect EMI on your home wiring. It comes in handy and is very inexpensive. I can walk you through how to use this if you ever want to know. I also discuss this in my book, which is the best “how to” manual on EMFs I could write for beginners. Two more questions, if you’d be so kind. We have our computers wired now and keep the WIFI turned off on our modem/router, and only use WIFI very occasionally. The modem/router is 3-4 feet away from me/my desk. Is there still danger of EMF pollution to me from the modem/router even when the WIFI is off? The modem/router is in close proximity to me/desk because that is the central place in the room where the outlet and so many other connections are. I will need to figure out how to get it further away from me for better protection when the WIFI is on. Yet… it may not matter how far away it is from me because of the large radius of the WIFI, the EMFs will be hitting me anyway, no matter where the router is, correct? 1.) There will be some EMI radiating from an router/modem. If you use a Radio Shack AM radio model 12-467, you will hear this. So, I would move the modem/router farther away from you (10 feet). 2.) Microwave radiation decreases with distance. If you are 5 feet from a router, your exposure is sometimes thousands of times greater than if you are 30-40 feet. So, distance really matters and I would encourage you to not be spending time/working within 5-10 feet of a radiating router. Unfortunately, most people unwittingly do this at home and we may be seeing serious health effects throughout society from this 10-20 years down the road. Hopefully you have read these two articles, which will help you with wiring your internet at home. Since wife and I began our education on this, our laptops are wired and we now have the WIFI turned off most all the time and it only goes on for a short time once in awhile and immediately goes off when we are done with it. YET, as you know, this modem is only 3-4 feet away from me! (And I’m also being continuously hit by whatever other EMFs it is emitting even when the WIFI is disabled.) This is a bit of a dilemma because we are in a small cabin and my wife and I use the living room as our office. We have 2 laptops and a printer connected by wire to the modem… the outlet is 3 feet from me (which is why the modem is 3 feet from me)… and we have it plugged into a UPS to protect it (we frequently have power outages up here in the mountains and we have to be careful the modem doesn’t get fried by a power surge). Thus, moving the modem to another location is problematic (because UPS, laptops, and printer are all connected to the modem, which is next to the wall outlet). Going to have to think on this and come up with a better solution. You can put this over your router, which will reduce the power density of the signal somewhat. You could also make you own with the really good Ripstop Silver Fabric seen in #1 here. You need to make a box though – don’t put the fabric directly on the WiFi router as it will cause heat. If it were me, I would put a small desk / chair across the room with a wired setup connected to the modem/router. That would get your 20 feet from the WiFi source. Distance is your best friend when it comes to EMF reduction. It is the least expensive and most effective way in my cases. Re: small desk/chair… no can do. I’ll email you a pic of the floorplan and size of living room/office here in our little cabin so you can see exactly what I’m talking about. If I keep working on this I’m sure I’ll come up with a solution shortly for the best protection possible within our circumstances. To facilitate a fuller understanding of my circumstances, I just emailed you a video of my office space. 1. Relocate the modem as far away from us as possible (not sure where and how yet, which is the main reason sent you the video). 2. Put the modem in a router guard or pouch. 3. Keep our laptops wired as much as possible. 4. Use the Cat 7 shielded ethernet cable with the cable ground. 5. Only use WIFI when necessary and then turn off immediately. Do you think that this is a workable program for the modem, or is there a more optimal approach? Perfect steps, Alfred. You should be in good shape. One thing – in looking at your video, I would not put the aluminum foil (or any shielding material) directly on the modem/router. There will be heat generated and there could be a small chance of fire. Just want to be careful to create space. Looks like you have a wonderful mountain home! Jeromy, I looked and looked on ebay for that radio shack model “12-467”, and have not found it neither on ebay nor on Radioshack’s website. Can you be more specific what type of radio is that? Just AM? I need to be able to find the most similar one when the model you recommend is not available! I would just avoid the Radio Shack AM Radio model 12-586 as I know it doesn’t pick up all the EMI. The issue is that newer AM radios have noise suppression technology that makes them useless for detecting EMI. Any older Radio Shack AM radio should work (older than 10 years). The Radio Shack AM radio model 12-467 does seem to pop-up on Ebay every so often. Also, this one may work, but I have not tried it yet. Once you have an AM radio, contact me and I’ll walk you through the process to detect EMI/dirty electricity on your home wiring. Lastly is our laptop situation (which you can also see in the video that I sent you). My laptop is wired–WIFI and Bluetooth are turned off on it–and, it is positioned on the floor leaning against my desk about 2.5 feet away from me. It is connected to a desktop monitor and I have a wired keyboard and wired mouse. I don’t know if I need be concerned anymore now about any EMFs from the laptop or not. To be safe, I put an aluminum baking sheet between the laptop and me… laptop is on the floor, standing on end, leaning up against end of my desk, aluminum baking sheet is between laptop and desk (you can see the exact location of my laptop in the video I sent you). I set up this same laptop configuration for my wife too. Do you think the above setup pretty much handles EMFs in regard to our laptops? P.S. My wife and I have RF Safe cell phone cases, airtube earbuds, and ferrite beads for our phones (going to get a land line installed too); we have the blue light blockers now, that we don every evening; we’re working on what EMF meter package to get; and we’re working on what EMF protective supplements to get. Slowly but surely we are getting on top of this major threat to our health. All great steps Alfred. Way to go! Oops! There is another question (will this ever end? ha ha). I don’t understand the point of having an AM radio if one has an EMI meter. Is it to FIND locations where the DE is emanating from, and then use the DE meter to see what the extent of the EMI pollution is? The Line EMI meter and the Stetzer Microsurge meter measure what is called differential mode EMI. This is the noise on hot wire. When you turn off the circuit breaker, this EMI disappears (and, of course, these meters don’t give a value). The AM radio helps you to also determine the common mode EMI. This is the noise that is on the neutral/ground wires. The AM radio is thus detecting both differential and common mode EMI and is more accurate because of this. Note that the filters (they are actually capacitors) by Greenwave and Stetzer move the noise from differential to common mode EMI. Their meters don’t pick this up, but the EMI is still on the wiring. I use the AM radio to test my circuit breaker box to see if the EMI is coming from one of my circuits (thus easy to fix) or from the grid (harder to fix). I can walk you through this process if you ever want to learn how to do this. Well, I finally got most of the materials so that I can move our router away from me (currently 3 feet) to the furthest point away possible in our office room (up high on the far wall). Have cat 7 shielded cables with grounding; surge protector multi-plug; and materials to build a shelf. Final step will be a router guard. BACK STORY: I did some research, decided upon and bought a shielding wallet/case for my iPhone. It was touted as the most effective of these products (not sure if it is ok for me to post the brand). The shielding portion of the case covers the front of the phone. Anyway, I checked it using my friend’s RF meter and it didn’t show evidence that it was effectively shielding. Then, I had to go to an Apple Store yesterday to handle a glitch with my phone and got into a conversation with the technician about EMFs and cases. He wasn’t comfortable about giving me his opinion (being an employee of Apple), yet, he told me that he had studied the whole EMF issue as well. He told me that the seamless metal band around the iPhone is the actual antennae, and it covers a 360 degree circumference of the phone. He said the radiation, the transmission and the receiving, has to do with the EDGES of the phone, not the top surface. He also said that the ONLY way to prevent radiation from the phone would be to place it in a high quality Faraday apparatus–which would then create a state where the phone couldn’t send or receive any signals! He then said that he doesn’t use any shielding cases. My takeaway on this was that, reading between the lines (which I believe was the intention he had for me) is that these “shielding cases” are a scam and don’t really serve a purpose. He also mentioned that the RF from a modem (WIFI) is less damaging that the RF from a cell tower. Thus, there is less biological damage using your cell phone through WIFI (when at home, or at a WIFI place) then solely through cellular. (Phones apparently will always switch over to WIFI if available, rather than send and receive on a purely cellular level.) So I’m not sure which is the least dangerous or less exposure… having WIFI on to support your cell phone? Or, keeping WIFI off and just using cellular when you use your phone? 1) Does anyone have any experience and knowledge re: these shielding cases that could give me some feedback about this (effective/ineffective, etc.)? 2) I want to ensure I’m doing what will give me the least exposure to RF at home. Does anyone with technical experience and knowledge re: WIFI versus Cellular RF have any feedback to offer me on this subject? 2.) There is no evidence (that I have seen) showing that connecting your phone via WiFi is less dangerous than using a cellular connection. In fact, if you are using WiFi, then you have a router in your environment that is emitting RF as well. That exposure could be the worst of all. There are myths that Bluetooth is safe. Or that WiFi is safe/low powered. They simply are not true when holding an RF antenna next to your body. I just got a full refund–no argument or questions asked–on the two “shielding” cases I’d purchased for my wife’s and my cell phones. At least I know the air tube/shielded wire/ferrite bead ear buds we have are helping to protect us. I also have an extension cable to keep the phone even further away from my body. I’ve had distractions. Now I’m back to finishing up my EMF Exposure Reduction program in our house. I’ll report back once I’ve taken the rest of the steps (one of them being to finish my study up on all of your EMF articles and videos). Do electronic timers such as the Lutron MA-T51 (i.e. for bathroom vent fans) cause dirty electricity, or are they similar to dimmer switches in this way? If I have the choice to use either an electronic or a mechanical timer, would one be better than the other? I have not tested one of these, but I would think they create less EMI than a dimmer switch (it’s a different mechanism). Do you have an AM radio to test? Thank you Jeromy. We do not have either type installed yet, but maybe I can find somewhere to test some with an AM radio. If they do create dirty electricity, would that only be when turned on? Do they affect anything when they are off? I also have the same question regarding LED lights, if they still have any dirty electricity effect when turned off. The dimmer switches and CFL/LED lights I have measured only create EMI/DE when they are on/utilized. Note that dimmer switches create much less EMI when they are on fully. It’s mostly when they are dimmed that the DE is created. Here is a video that shows the EMI a CFL lightbulb creates when turned on. The EMI drops considerably when it is turned off. I have wired my shop with new LED lights which are 17 feet up, at night and turned off, they have a glow which almost acts as a sort of nightlight. Not an effect that serves any useful purpose I am sure. How come when I ground something it emits a radio/microwave EMF? Why does radio/microwave come out of the outlets instead of just the electric reading on a multi meter? Why does my body increase EMF when others block it? Lastly, what can be done to block RF fire alarms without causing interference until I can get out of this place? Can you let me know what EMF meters you are using to measure things? I believe the primary source to be the security/alarm system in the apt building but my area is worse. It has 8 alarms – 6 on just one thin wall in this small apt which doesn’t touch the ceiling because its a historical building which means metal ceilings! (3 red and 3 white alarms.) It is to the point I feel I require an attorney and just get my own electrician in here but my apt manager don’t really take me seriously. Additionally the cable/internet is another primary source. I got rid of wifi and use a lead covered ethernet cable yet still it emits rf/microwave, in turn carrying it to my laptop. After 5 pm it triples emf topping the meter to the red zone. Having said that I wanted to hear your option before I purchase more material that only seems to increase emf as I feel there is a fine line here for such toxic environment. Sounds like you have a complicated situation. If you let me know your city/state, I’ll recommend a good EMF consultant that you can hire. Finally, if you are not feeling well in your apartment after one year, I suggest you move. It’s often the easiest and best solution. Is it possible to switch off the circuit box, the part that goes to my room every night. Will the circuit box breakdown, is it able to handle daily switching on and off? What you want to use is a Contactor with a remote switch. I like this version. You get a 10% discount with the code EMFA-10 at checkout. Most circuits can handle some switching on and off, but I would not do this every night for years. 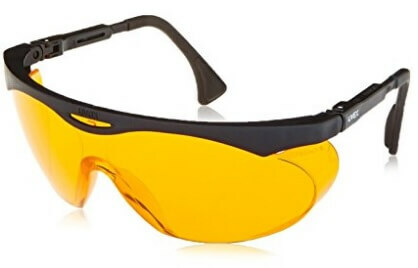 It will wear them out and they won’t work when needed (during a power surge). This could cause a fire. The contactor fixes this problem. Excellent concise presentation on different meters. I am wondering if there is an all in one meter? Or what meters would be of most importance when searching for a new home? Long story short I have chronic Lyme disease, and my marriage of 9 years just ended – so I’m looking for a new home somewhere but I want to be diligent about checking the EMF, radiation, magnetic fields, etc.. I will be checking for mold as well, but I have that one covered. Also, The MC cable you mention – what is the price like to have a home rewired with MC cable? Thanks for writing. Great questions. My favorite meters are seen here. As you have Lyme, I recommend that you get a good set of meters. The all-in-one meters really are not accurate enough for you. You may also want to work with a local EMF consultant if there is a home that you are really interested in. Email me and I’ll recommend someone I trust in your area. Finally, for the MC cable and other low-EMF solutions for any home, I would read Appendix B in my book. I lay out exactly what I would want to do in a remodel or new purchase/build. Finally, can I just order the Gigahertz and Safe & Sound from you… if so what would the prices be? Thanks so much! Love your content. 2.) I am not a big fan of the Stetzer and Greenwave filters. There are a couple situations where they can be beneficial, but I would not buy a bunch to plug into your wall sockets. Again, I cover why in my book. 3.) I like the Alpha Labs UHS2 for magnetic fields because it measures all 3 axis. The GS ME3851A only measures one axis, so you need to turn it three ways to get a correct measurement. If you are low on funds, then just get the ME3851A and the Safe and Sound and you will have magnetic, electric and RF covered. When you buy the ME 3851A and Safe and Sound together, you should get a 15% combo discount on the total purchase price. Thank you, Jeromy. I will need to buy your book – sounds really good. I am thinking it is pretty important to have a dirty electricity meter… esp since I think we have a good amount of it in our 1979 home? So will the DE meter you have in your pkg 2 work when using the Stetzer filters (IF we end up deciding it would be helpful)?? I’ve looked at their instructions, and you use their meter to help you know where to put the filters… would the Alpha Labs work pretty much the same (looking to bring the number less then 30 ultimately… w/ at least a 20% decrease each time a filter is put on a circuit)? Are the units of measure the same? Also, how do you remediate after you get the DE readings if not with filters? I am sure you address in your book, but can you give me an idea? We know we must fix any electrical mistakes before trying filters, so we printed off info on that and are checking it out. (My husband is a contractor and works w/ electricians.) If not I know Magnetic fields can be worse. Why I’ve stayed away from them tho I heard of them a year ago. Mercola and Zach Bush adn other respected health advocates have recommended them so lately I’ve thought maybe we need them after all….. I would read my book before taking the dirty electricity “filters” route. They are not what they seem. Your situation is complicated, but I can help you get on the right track. I work with people around the world one-on-one with phone/Skype/email consultations. With your husband being a contractor, I can explain what to do in your home and he can implement. Using “filters” is likely unnecessary. Do you have the physical book yet? What is the return policy on the meters (and/or warantees)? (or is that on the company’s web site? I know I want the RF & ME meters on pkg 2…. how important is the DE meter; can we make a lot of headway without it, or will it slow us down?? I want to order asap so I can get them in and get started. Thanks! Updated comment. I downloaded your book and am looking forward to reading it. I found the warranty info. on the SLT website, and have 2 of the meters in the cart. I see that the Alpha Labs has a greater frequency range—but the Stetzer meter measures (in Graham-Stetzer Units) the rate of change of the voltage with time (i.e. how close the waves are together). Supposedly, this is very important & unique to their meter? Just not sure which is more important. I am not wanting to question your opinion… just want to be sure before we purchase. Either the Stetzer or Alpha Labs will be fine for giving you a general sense of the EMI on your wiring. However, I mostly use a Radio Shack AM radio Model 12-467 for detecting EMI. As you will see if we talk and as you read through my book, the true way to get rid of EMI/DE on your wiring is the find the sources and eliminate them. It’s getting the root of the problem, while putting in Stetzer and Greenwave filters is just covering up the problem. Sorry to ask another question; I just realized it, and we pushed back the purchase to this billing cycle because another expense came up last week. Should be ready finally. I have read your book, and am going back thru more slowly now. We’ve done a few obvious changes, but know we have to have the meter to know for sure. Thanks, again! The ME3830B is very good when you are on a budget. It is just a little less sensitive than the ME3851A and doesn’t have the ability to test different frequency ranges. This is okay though and will serve your purposes. Best of luck with this and keep me posted on your progress. Hi, do tin roofs cause emf issues? I have a chance to move out in the country, 2 miles from the nearest cell tower or antenna. The apartment is on the second floor of a barn with a tin roof. I am going to see the place for the first time later today. I believe it is a wood frame structure with the tin roof. I minimize the emf’s I produce inside as much as I can. Thank you for your feedback. In general, this situation should be fine. A metal roof is no worse than a wood one. However, you really only know what is going on by measuring. I, too, have a PLC meter on my home. Since it was installed I’ve been struggling with constant problems with my balance, tinnitus, sleep disturbances, heart palpitations, and irritability. I’m 32, by the way, and also have MCS. I haven’t tried it yet, but I am thinking about it. It is the Power Perfect Box, Super Duty filter made by Satic. Jeromy, if you have any thoughts about this companies Super Duty filter for PLC meters, please share your thoughts! Thank you!! Hi Jeromy. So we are building a new house. I do plan to filter with stetzers once we are in but my husband is insisting on all LED LIGHTS…So… is there a better brand that’s been tested as being safer than others? I did have the house wired wo turn off all power to bedrooms at night… we have no smart meter (hard fought) … I’ve been very thoughtful but help with bulbs?!? Thank you!! Wonderful to hear you are taking all these steps. 1.) Do NOT consider the Stetzer or Greenwave “filters” to be an effective solution for EMI / “dirty electricity.” If you email/consult with me, I will explain how you can actually reduce the EMI on your wiring. 2.) Not all LED lighting will cause high amounts of EMI. You have to test different lights. I never use LEDs in a home because the light quality is so bad (white/blue). So, I can’t offer specific low-EMF suggestions. I always use incandescent when possible (you can still get the bulbs online). 3.) I have a full section in my book with what to do in a low-EMF new construction. There may be some things that you can still do. They often don’t add much to the cost of the home. Hope this all helps. Keep me posted on your progress. Great work with the analog meter too! Are the 2-3 wiring errors that create high magnetic fields in a home something that a typical electrician can identify? Both of these checks should be done after a home is initially wired or when you move into a new home. The fixes normally take less than an hour of an electrician’s time once you have identified the problems. Thank you very much for your reply. Very helpful. Once we move in I will likely schedule a phone or email consult after I have tested the house. Hope I can find a knowledgable electrician.